The UN agency for support to agricultural development, International Fund for Agricultural Development (IFAD) will set up its sub-regional office in Istanbul following an agreement with Ankara. 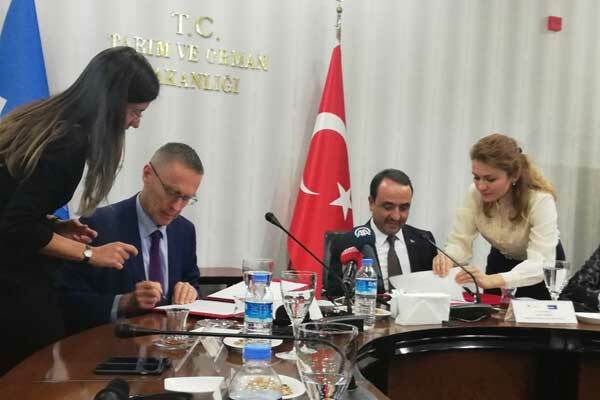 The agreement, according to Donald Brown, IFAD’s associate vice president, program management division, marks a key milestone in the long-standing collaboration between Turkey and the UN agency. “We are proud of over 35 years of fruitful cooperation and strategic partnership, during which we and Turkey have financed 11 projects totaling about $775 million reaching over 7.5 million rural people,” Brown said. In a statement, IFAD said the Istanbul office will manage an investment portfolio of 21 ongoing projects amounting to $1billion, reaching an estimated 13.9 million rural people. The UN agency has been supporting projects in Turkey, with focus on the increase of agricultural productivity, profitability and marketability, as well as promoting sustainable natural resources management. The office will enhance fruitful partnership with several governments namely Azerbaijan, Bosnia-Herzegovina, Georgia, Kyrgyzstan, Lebanon, Moldova, Tajikistan, Turkey and Uzbekistan, said Khalida Bouzar, IFAD’s regional director for the Near East, North Africa, Central Asia and Europe Division who attended the signing ceremony. Written by: KanelkaTagba on November 7, 2018. Posted by KanelkaTagba on Nov 7 2018. Filed under Headlines, World News. You can follow any responses to this entry through the RSS 2.0. Both comments and pings are currently closed.